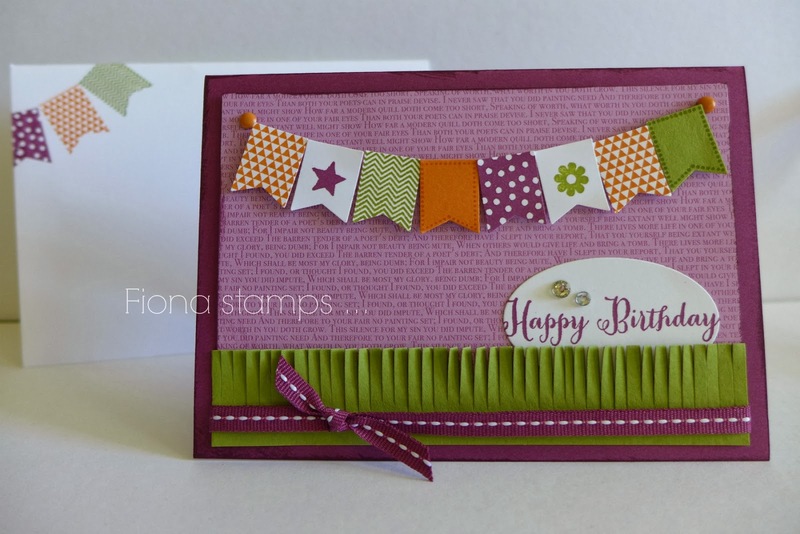 Fiona stamps ...: Banner Blast and fringe scissors! 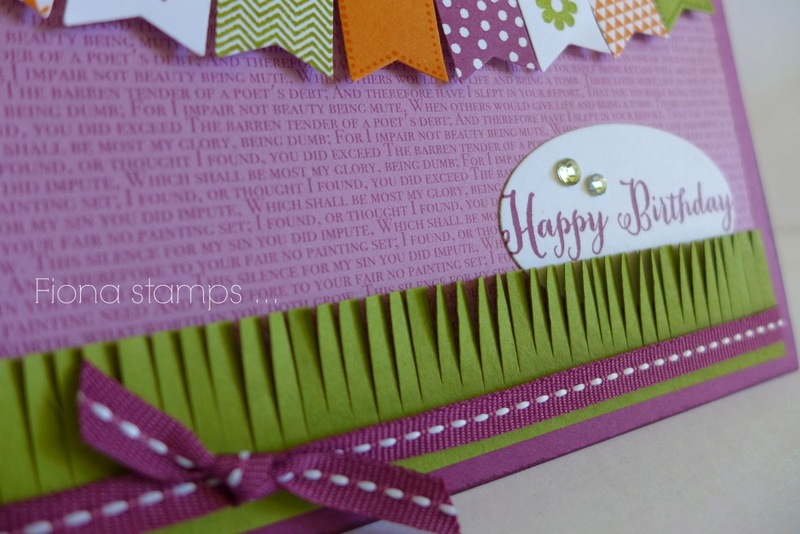 Banner Blast stamp set, and my FREE Banner Punch. This card was super-easy and super-fun. I love the new Fringe Scissors, at just $16.95 I was very happy to add them to my tool collection. I used them to create some grass under my bunting. 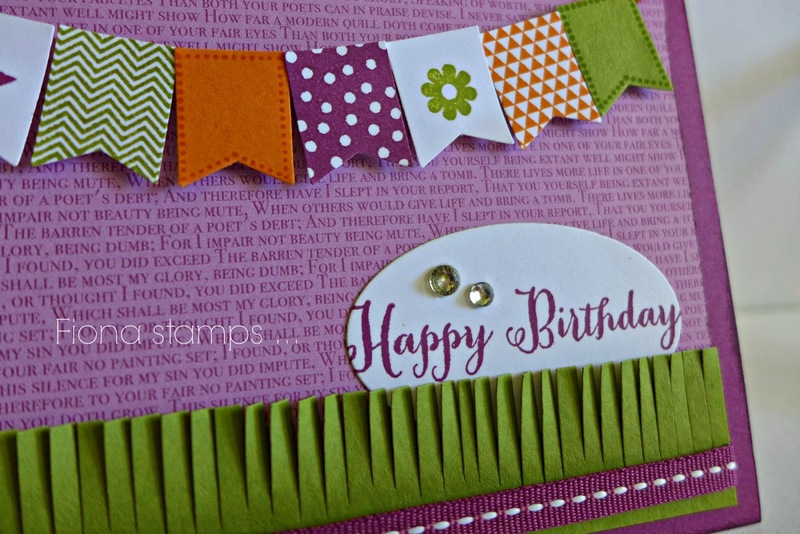 Did you know you can order Stampin' Up! products online? Click here to order now. Or email me if you'd like some help with your order. It's been a long time since I posted here. I recently gave my blog a fresh new look and plan to post here more in 2014. Thanks for visiting!